The disintegration of plastic materials by means other than by the biological process such as dissolving, heat ageing or ultraviolet aging. A diverse group of specialty chemicals incorporated into plastic formulations before or during processing, or to the surfaces of finished products after processing. Their primary purpose is to modify the behavior of plastics during processing or to impart useful properties to fabricated plastic articles. (Modern Plastics Encyclopedia 1995). Degradation in the presence of air. Composting is a way of aerobic degradation. The main standardization body for materials standards in the United States. 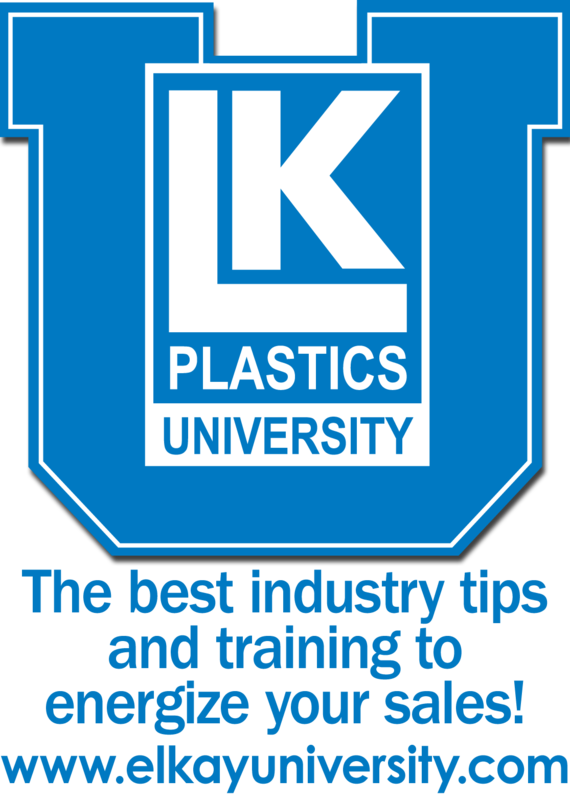 Including materials standards and testing protocols for plastic sheeting. Degradation in the absence of air, as occurs in dry landfills. Anaerobic degradation is also called biomethanization. This term indicates orientation of plastic films in both machine and cross-machine directions by stretching. Biaxially stretched films are generally well balanced in both directions and much stronger in terms of tear strength. The American Society of Testing and Materials defines biodegradable as "Capable of undergoing decomposition into carbon dioxide, methane, water, inorganic compounds, or biomass in which the predominant mechanism is the enzymatic action of microorganisms, that can be measured by standardized tests, in a specified period of time, reflecting available disposal condition." For practical purposes claims about biodegradability of plastic should specify a timeframe. Polymers that exhibit controlled degradation through the incorporation of prodegradant additive master batches or concentrates. Such polymers oxidize and are embrittled in the environment and erode under the influence of weathering. Plastic films produced from synthetic resins (such as polyethylene) by the blown process. In this process, the molten resin is extruded through a circular die into a tube. This tube is expanded ("blown") by internal air pressure into a larger bubble with a much reduced wall thickness and cooled with external air quenching. Term used to describe bottom of a can liner. The three types of bottom seals are: FLAT SEAL - Straight seal along bottom of a can liner (looks like a pillow case). The flat seal is used to create the strongest possible seal for heavy weight bags. STAR SEAL - The star seal is the most common type of seal in the market. Designed without gussets, the star seal eliminates gaps along the seal where leaks can occur. This allows the bag to easily conform to the shape of the container and distribute the weight of the contents evenly inside the bag. This type of seal maximizes the bag's carrying capacity while minimizing the likelihood of leakage. GUSSET SEAL - A flat-style bag manufactured with both sides tucked in to form gussets. Also refers to the distance across the open face of the folded side or pleat: can also refer to the tuck or pleat itself. Term used for garbage, trash or waste bags. It is used in industrial, institutional and medical applications. Can Liner Standard Colors are clear, black, white, gray, red, blue and yellow. The smallest shipping unit for poly bags containing multiple cartons. The simultaneous extrusion of two or more different thermoplastic resins into a sandwich-like film with clearly distinguishable individual layers. This involves a process where parts are blow-molded with walls containing two or more layers of different material. Coextrusion offers wide latitude for material selection and also allows the use of recycled materials. A material with good barrier properties, for example, can be used for the inside and outside surfaces of a blow molded bottle, while recycled material can be used for the internal layer. (Modern Plastics Encyclopedia 1995). The coefficient of friction is a measurement of "slipperiness" of plastic films and laminates. Measurements are usually done film surface to film surface. Measurements can be done to other surfaces as well, but not recommended because COF values can be distorted by variations in surface finishes and contamination on test surface. This is a term to describe pressure sensitive adhesive coating on plastic films or laminates that will allow the packages to be sealed by application of pressure (with no heat or with minimal heat). Compostable materials are capable of undergoing biological decomposition in a compost site, to the extent that they are not visually distinguishable and break down to carbon dioxide, water, inorganic compounds, and biomass, at a rate consistent with known compostable materials (e.g. cellulose). See also 'compostable plastic'. A polymer is 'compostable' when it is biodegradable under composting conditions. The polymer must meet the following criteria: a) Break down under the action of microorganisms (bacteria, fungi, and algae); b) Total mineralization is obtained (conversion into CO2, H2O, inorganic compounds and biomass under aerobic conditions); c) The mineralization rate is compatible with the composting process and consistent with known compostable materials (e.g. cellulose). The term used to describe the activity of breaking down plant and animal material using microorganisms under aerobic conditions. For successful composting there must be sufficient water and air to allow the microorganisms to break down the material, and the compost should reach and maintain a warm temperature. The term used to indicate converting plastic bags from a continuous roll to separate bags in a given configuration. Bags or tubing is rolled on cardboard cylinders (looks similar to a roll of paper towels). Bags are rolled with perforations or are interleaved in a roll configuration. Degradable materials break down, by bacterial (biodegradable), thermal (oxidative) or ultraviolet (photodegradable) action. When degradation is caused by biological activity, especially by the enzymatic action of microorganisms, it is called 'biodegradation'. The tendency of a body to return to its original shape after it has been stretched or compressed. Pressing a raised pattern into a bag to increase the ease of opening and handling. A colorless gaseous aldene obtained from petroleum and natural gas and used in manufacturing the most common plastic bags. Ethylene-Vinyl Acetate copolymer is an additive. Much softer and clearer than LDPE or LLDPE and has lower melt temperature. Its melt temperature goes down, while its softness increases with increasing vinyl acetate (VA) content. EVA resins with 2-18% VA content are used for cast and blown packaging films. One of the most common plastics processing techniques covering a vast range of applications in which resins are melted, heated and pumped for processing. Extrusion machines accomplish these tasks by means of one or more internal screws. In extrusion, the material to be processed is sheared between the root of the screw and the wall of the barrel that surrounds it. This process produces frictional energy that heats and melts the substance as it is conveyed down the barrel. Melted extrudate from the machine is further processed after the extrusion phase, which typically produces pellets, sheet, cast film, blown film, fibers, coatings, pipes, profiles or molded parts. (Modern Plastics Encyclopedia 1995). This term refers to the physical strength of the can liner. Some resins have higher film strength than others. Our can liners are made from highest quality resins, giving them the highest quality film in the market place. Various types of strength testing are: Dart Drop Test - ASTM test used to determine the resistance of a bag to local failure or puncturing. Elmendorf Tear Test - ASTM test used to measure the resistance to tearing. Wet Load Capacity - Measurement of how much wet weight a can liner will hold. Dry Load Capacity - Measurement of how much dry weight a can liner will hold. Term used to describe thickness of a plastic sheet, measured in mil's or microns. Mil (One thousandths of an inch) Term used in the measurement of LDPE and LLDPE can liners. One mil is .001". Can liners range between 0.35 to 4.0 mil. Micron Term used in the measurement of HMW-HD can liners. 25.4 microns equals .001". 1,000 microns (M) = 1mm. HMW-HDPE can liners are 6 to 24 microns. This is the acronym for High density, (0.95-0.965) polyethylene. It has much higher stiffness, higher temperature resistance and much better water vapor barrier properties than LDPE, but it is considerably hazier. A conventional (not biodegradable) plastic, as used commonly in single-use plastic carry bags (HDPE). This is the chemical term for an organic compound containing only carbon and hydrogen. This is the primary type of resin used in modern can liner manufacturing technology. Bags made from LLDPE film provide excellent combination of film strength, puncture resistance and tear resistance. This is a plastic that is used predominantly in film applications due to its toughness, flexibility and relative transparency. LLDPE is the preferred resin for injection molding because of its superior toughness and is used in items such as grocery bags, garbage bags and landfill liners. (Adapted from Modern Plastics Encyclopedia 1995; Plastic Packaging Opportunities and Challenges, February 1992). This is the chemical term for a simple compound whose molecules can join together to form polymers. Polyamide resins, with very high melting points, excellent clarity and stiffness. Two types are used for films: nylon-6 and nylon-66. The latter has much higher melt temperature, thus better temperature resistance, but the former is easier to process, and it is cheaper. Both have good oxygen and aroma barrier properties, but they are poor barriers to water vapor. Also, nylon films can be cast (see CAN), or oriented, (see BON). A term to indicate the hiding power of pigmented (mostly white) plastic films. It is beneficial for packing materials sensitive to light (visible or ultraviolet). Degradation of the polymer is triggered by UV light and assisted by the presence of UV sensitizers. In this process the polymer is converted to low molecular weight material (waxes) and in a second step converted to carbon dioxide and water by bacterial action. A process where ultraviolet radiation degrades the chemical bond or link in the polymer or chemical structure of a plastic. Is a very thin piece of thermoplastic resin that is considerably longer than it is wide with a thicknesses of 10 mils (1 mil = 0.001 inch) or less (averaging 0.7 mils to 1.5 mils). Is a comparatively thick piece of thermoplastic resin that is much longer than it is wider and as thick as 10 mils (1 mil = 0.001 inch) or more (up to 30 mils thick). A lightweight thermoplastic used especially in packaging. Polyethylene (PE) molecules have two hydrogen atoms attached to each carbon atom in a chain. This structure gives polyethylene it's tough, flexible and chemical resistant characteristics. PET is clear, tough and has good gas and moisture barrier properties. Some of this plastic is used in PET soft drink bottles and other blow molded containers, although sheet applications are increasing. Cleaned, recycled PET flakes and pellets are in great demand for spinning fiber for carpet yarns and producing fiberfill and geotextiles. Other applications include strapping, molding compounds and both food and non-food containers. (Adapted from Modern Plastics Encyclopedia 1995). Polypropylene has excellent chemical resistance, is strong and has the lowest density of the plastics used in packaging. It has a high melting point, making it ideal for hot-fill liquids. In film form it may or may not be oriented (stretched). PP is found in everything from flexible and rigid packaging to fibers and large molded parts for automotive and consumer products. (Adapted from Modern Plastics Encyclopedia 1995; Plastic Packaging Opportunities and Challenges, February 1992). Polystyrene is a very versatile plastic that can be rigid or foamed. General purpose polystyrene is clear, hard and brittle. It has a relatively low melting point. Typical applications include protective packaging, containers, lids, cups, bottles, trays and tumblers. (Plastic Packaging Opportunities and Challenges, February 1992). Any plastic that has entered the stream of commerce, served its intended purpose, and has now been diverted for recycling or export. This includes residential, commercial and institutional plastic. This does not include industrial scrap material like factory regrind and plant scrap used within the primary manufacturing facility. (Post-consumer plastic resin is also known as PCR). (1995 post-consumer plastic Plastics Recycling/Recovery Rate Survey, Glossary of Terms, R.W. Beck & Associates). PRN refers to the Latin abbreviation for "take as needed". The PRN bags contain medication (usually pain or anti-nausea medicine) that can be consumed by the patient on an "as needed" basis. The blue or orange color of this type of bag is provided as a preference -choice for the clinic to assign color code use. The series of activities by which discarded materials are collected, sorted, processed and converted into raw materials and used in the production of new products. These markets are made up of individuals or businesses that purchase post-consumer plastic and/or post-industrial recyclable materials. Markets specify what kind of recyclables they purchase, what price the material is worth and in what form the material is needed. Recycling markets for plastics fall into two broad categories: (Waste Reduction Strategies for Rural Communities, prepared by the MaCC Group, with support from Tennessee Valley Authority, March 1994). A centrally located depot to which consumers bring recyclables that provides payment for delivered materials. (The Blueprint for Plastics Recycling, The Council for Solid Waste Solutions, 1991). These bags are intended for use as a vomit receptacle when patients do not have the ability to get to a restroom. The bags are made of durable high-density polyethylene material and are much stronger than the conventional lined paper bags. Adhesive and wire fold-over closures are available. A bag with gussets on both sides, with a fin-seal running from top to bottom and sealed horizontally at the bottom and the top. Commonly used in the coffee industry. (1) Capable of being repeatedly softened by heat and hardened by cooling. (2) A material that will repeatedly soften when heated and harden when cooled. Typical of the thermoplastic family are the styrene polymers and copolymers, acrylics, cellulosics, polyethylenes, polypropylene, vinyls and nylons. (Plastics Engineering Handbook of The Society of the Plastics Industry, Inc., edited by Michael L. Berins, 1991). Ultra Violet Inhibitor. This is an additive used in making plastic sheeting that requires protection from sunlight. This is a term that refers to pure and clean (no recycled material is included) resins. These are labels on packaging that indicate improper use of the enclosed products and warning of the dangerous results of improper use. This type of label is required by law. A recloseable or reseable pouch produced with a plastic track in which two plastic components interlock to provide a mechanism that allows for recloseablility in a flexible package.